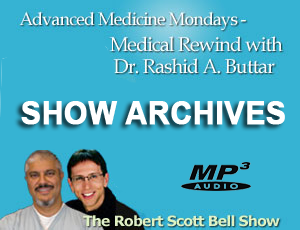 If you missed Advanced Medicine with Dr. Rashid A. Buttar and Robert Scott Bell, be sure to go to www.MedicalRewind.com to listen to the show replay. It’s Hard for Doctors to Unlearn Things. That’s Costly for All of Us. 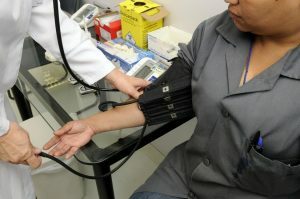 – We know it can be hard to persuade physicians to do some things that have proven benefits, such as monitor blood pressure or keep patients on anticoagulants. But it might be even harder to get them to stop doing things. In May, a systematic review in JAMA Pediatrics looked at the medical literature related to overuse in pediatric care published in 2016. 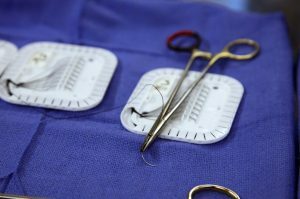 The articles were ranked by the quality of methods; the magnitude of potential harm to patients from overuse; and the potential number of children that might be harmed. In 2016 alone, studies were published that showed that we still recommend that children consume commercial rehydration drinks (like Pedialyte), which cost more, when their drink of choice would do. We give antidepressants to children too often. We induce deliveries too early, instead of waiting for labor to kick in naturally, which is associated with developmental issues in children born that way. We get X-rays of ankles looking for injuries we almost never find. And although there’s almost no evidence that hydrolyzed formulas do anything to prevent allergic or autoimmune disease, they’re still recommended in many guidelines. Why so many people with autism never make it to their 40th birthday. – Elizabeth* has a six-year-old daughter with autism, who she describes as “extraordinary, bright, inquisitive, sensitive, kind, fiery and impulsive”. Sarah* was diagnosed when she was five, but even before that, her mum started noticing a common theme in her emotional responses: distress. “My daughter was three years old when I began to see that she was suffering from anxiety,” Elizabeth tells Mamamia. “Her responses were often extreme to certain situations.” Now, as a primary school student, “She is, more often than not, quite stressed and extremely heightened.” Early intervention, however, including “a combination of medication and professional treatment,” has vastly improved Sarah’s quality of life. She hasn’t been bullied at school, she’s able to make and retain friendships, and she’s been taught how to remove herself from a situation when she starts to feel overwhelmed. 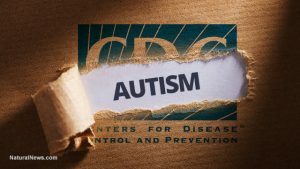 MORE studies confirm the link between childhood vaccines and autism – While the pharmaceutical industry, and their puppets in mainstream medicine and media, continue to claim that there is no link between vaccines and autism, multiple scientific reviews have confirmed what we’ve long suspected: A common vaccine ingredient is indeed connected to Autism Spectrum Disorder (ASD). As World Mercury Project reports, two recent studies have highlighted the potential role mercury exposure plays in the onset of ASD. Ethylmercury is used to make thimerosal, a popular vaccine preservative that’s 50-percent mercury by weight. Ethylmercury is one of the two most common forms of mercury that people are exposed to. Ethylmercury is a type of inorganic mercury, which makes it different from the organic methylmercury found in fish. 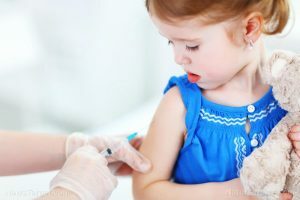 Vaccine propagandists say that this means thimerosal is safe — but a substantial (and growing) body of research has shown this assertion to be false. The suppressed truth about Tylenol: It’s toxic to children – If you were to ask your average mainstream doctor, or investigate the issue in official scientific journals, chances are you’d discover that acetaminophen (Tylenol) is generally classified as being safe for pregnant women and developing children. But a closer look at actual science tells a much different story. While the internet is saturated with seemingly scientific information about the alleged safety and effectiveness of Tylenol, there also exists copious evidence to the contrary, suggesting that this popular pain drug is particularly harmful for children. 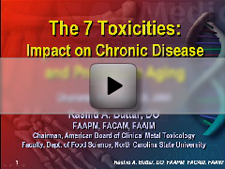 These damaging effects can also be passed down from mother to child during pregnancy. 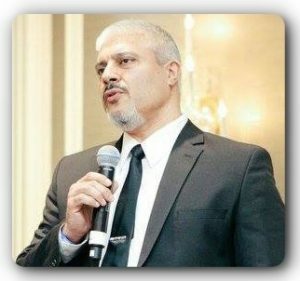 Dr. William Parker, Ph.D., an associated professor at Duke University, in an analysis compiled for GreenMedInfo.com, unpacks many of the known dangers associated with Tylenol, including the drug’s neurotoxic properties that are especially problematic in young people whose brains are still in the developmental phase. 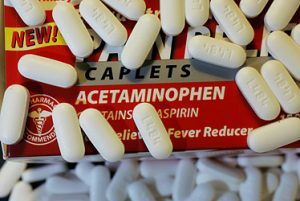 Study: Painkillers linked to increased risk of heart attack, stroke – Many people reach for painkillers to get rid of headaches or reduce fever, but some of those common medicines could raise your risk of heart disease or stroke, according to a new report. Researcher from Aarhus University Hospital in Denmark recently conducted a study, published in the British Medical Journal, to explore the cardiovascular risks associated with diclofenac, a traditional non-steroidal anti-inflammatory drug (NSAID). To do so, they used national registry data that included information on 6.3 million adults in Denmark. The participants, aged 46 to 56, were split into groups with either low, moderate or high baseline cardiovascular risk and were followed for 20 years from 1996 until 2016. 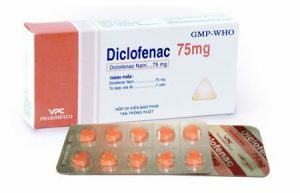 They found that, within 30 days of starting diclofenac, there was an increased rate of major adverse cardiovascular events, such as irregular heart beat or flutter, ischemic stroke, heart failure and heart attack, compared to those starting other traditional NSAIDs. Is there life after Trans-D Tropin? YES there is. There is an option. Did you know about the FDA destroying supplement companies by claiming that their products are unapproved new drugs? Click here to read a special message and find out the alternative to Trans-D Tropin. To order the Trans-D Tropin alternative, Click here. Click HERE for Free access to the AHEAD MAP (Medical Assessment Program). Use Invitation Code 11 to gain access.